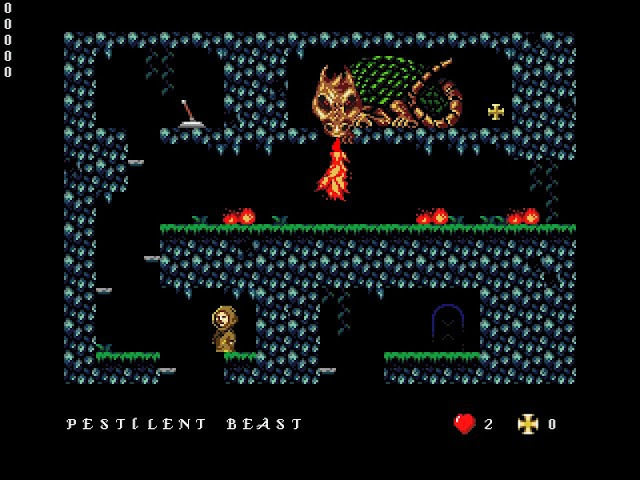 A long time ago we announced the release of L'Abbaye des Morts; a great retro platformer in a ZX Spectrum style that was originally developed by Locomalito who is no stranger to developing fantastic games such as Maldita Castilla and Hydorah. Well you'll be pleased to know that same game which also appeared as a port for the Amiga OS 4, and released for the Sega Mega Drive via PlayonRetro, is now coming to the Sega Dreamcast! Yes you'll be pleased to know a game that most of us have played and enjoyed, is going to be released for the Sega Dreamcast as a possible port development by BudGames. Although the only screen shot we've seen so far was teased via their twitter page, you'll be pleased to know if it does get a release it will be damn good, as can be seen by the game video from another system.